Welcome to Critic's Notebook, a quick and off-the-cuff car review consisting of impressions, jottings, and marginalia regarding whatever The Drive writers happen to be driving. Today's edition: the 2018 Volkswagen Golf R.
Congratulations—you've become a real adult. You've braved the listless wilds of your twenties, nailed down a decent career track, and somehow made it to the next financial level. You're far more mature than you were 10 years ago, and it's time for a new car to reflect that. Problem is, you just can't stop reminiscing about that clapped-out Honda Civic DX hatch you had way back in high school. How to combine these two disparate impulses? 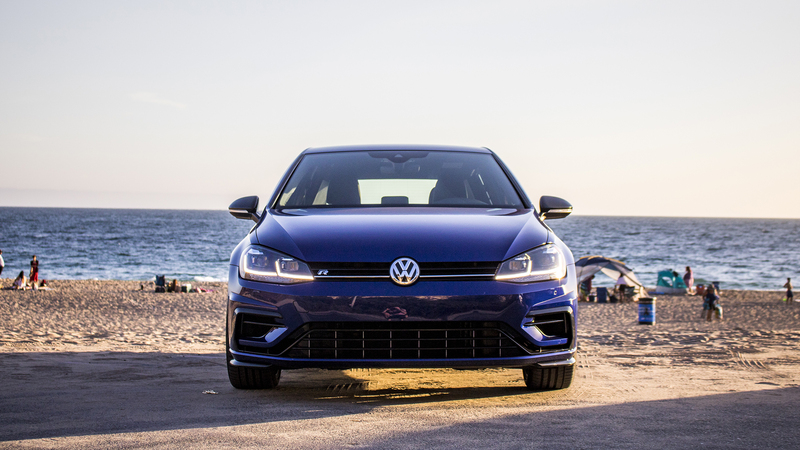 There are no shortage of answers on the used car market, but in terms of new whips, there's precious little that can compare with the duality of the 2018 Volkswagen Golf R. Now, other hot hatchbacks are usually associated with a certain kind of person who has a certain kind of mentality—let's call it "unserious." That's not an insult, but rather a recognition that pulling up in a flamboyantly-designed Honda Civic Type R projects a slightly different image than making an entrance in the demure Golf R. Volkswagen's ultimate compact car offers serious performance potential...in a body that wouldn't make a cop look twice. Hopefully, at least, because this pocket rocket can get you into legal trouble right quick if you're susceptible to traits like killer handling, punchy acceleration, and a steady all-wheel drive system. It might not look the part, but the Golf R is a proper hot hatch. Really, it's arguably the best hot hatch on the market, when you consider the overall package. 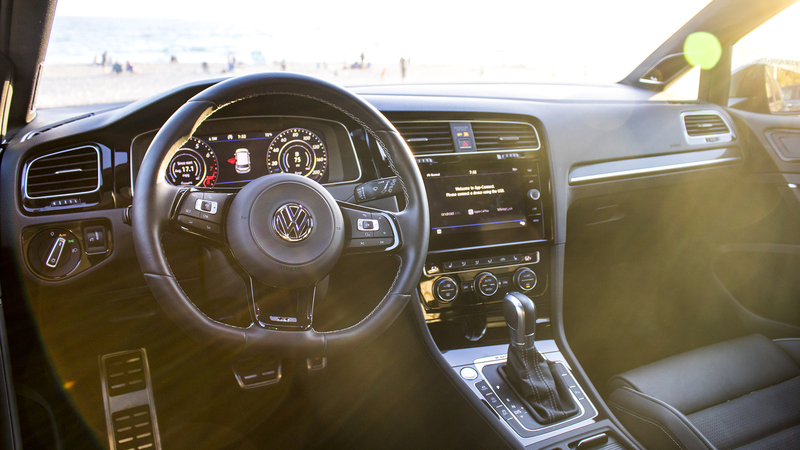 Others may offer more under certain sections of the spec sheet, but there are none that will dutifully play both daily driver and weekend toy quite like the Golf R thanks to its highly customizable drive modes and an honest, tech-focused interior. Does the "less is more" theory hold true when it comes to one of the less-serious corners of the automotive world? 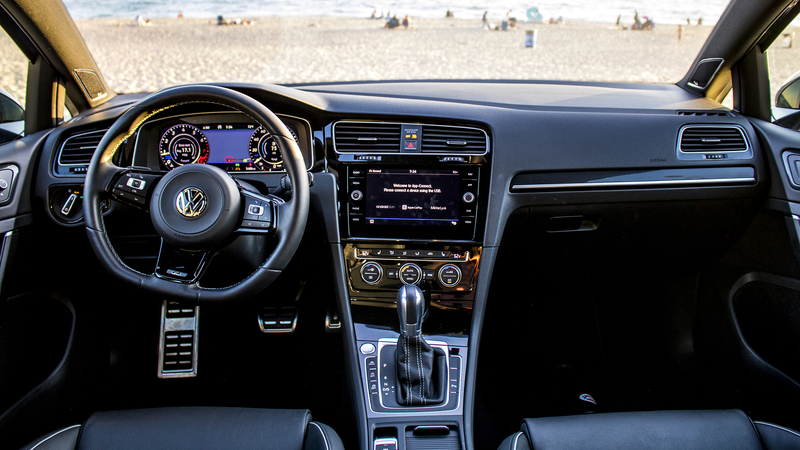 The Drive borrowed a 2018 model from Volkswagen for a week of mountain climbing and beachside cruising in southern California to find out. You say subdued, I say sleeper. 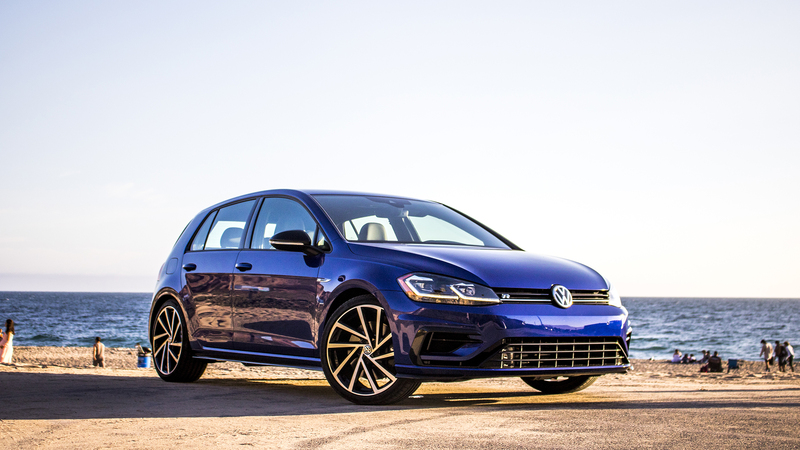 Of all the hot hatches on the U.S. market, the Volkswagen Golf R is the least visually-differentiated from its lesser econobox brethren, with only quad exhaust pipes, 19-inch wheels, and a few subtle "R" badges separating it from the workaday base model. 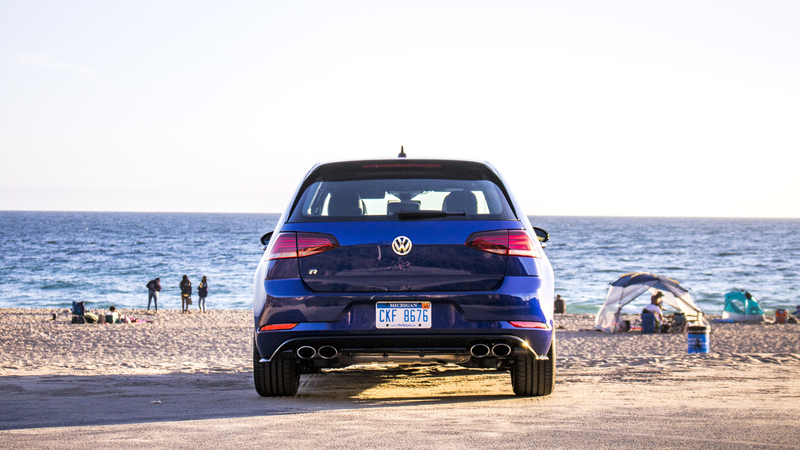 There are no surprises in the sixth year of the MK7, and its traditional two-box hatchback profile still gives the Golf its instantly recognizable shape. It's an earnest, unadorned design, free of the visual hyperbole found in competitors like the Honda Civic Type R and Ford Focus RS. It looks sensible—perfect for blending into the daily commute to your grown-up job before unleashing your post-work anger on an empty canyon road. 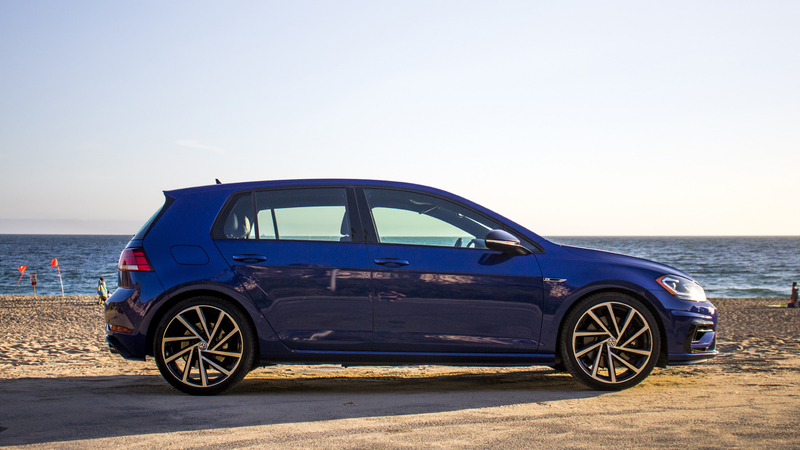 In the end, a hot hatch is only as good as it drives...which is to say, the Golf R is very, very, very good. We'll have to see how it ages to judge whether it truly belongs in the historic pantheon of hot hatch greatness, but all the ingredients for success are present. The car's EA888 2.0-liter turbocharged four-cylinder engine—the same block found in the Golf GTI, with a bucket of upgrades—sends 292 horsepower and 280 pound-feet of torque to all four wheels through either a six-speed manual or a seven speed dual-clutch DSG automatic transmission, both of which are great. Then there's the now-standard Dynamic Chassis Control adaptive suspension system with customizable driving modes, plus VW's capable and economical 4Motion all-wheel-drive setup that normally runs in front-wheel drive but can send half its power to the rear wheels if the situation calls for it. It all adds up to a foolproof fun time, though maybe a little too foolproof when it comes to the traction control system. But more on that in the next section. The interior is clean, well-organized, and uncluttered; this is Teutonic tidying at its finest. 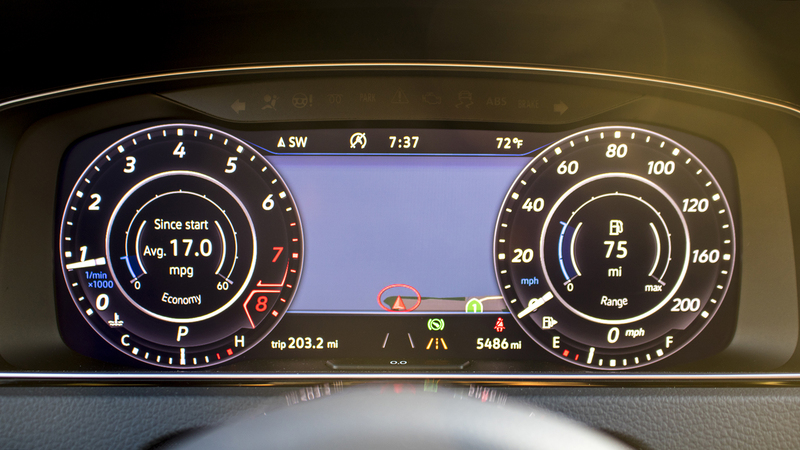 The biggest highlight here is the 12-inch Digital Cockpit display that completely replaces the gauge cluster—a relative of Audi's slightly more advanced Virtual Cockpit system. Digital gauges are among my biggest sources of heartburn, but I was pleasantly surprised to discover that the screen itself is noticeably crisp and unobtrusive to use, with intuitive steering wheel controls. 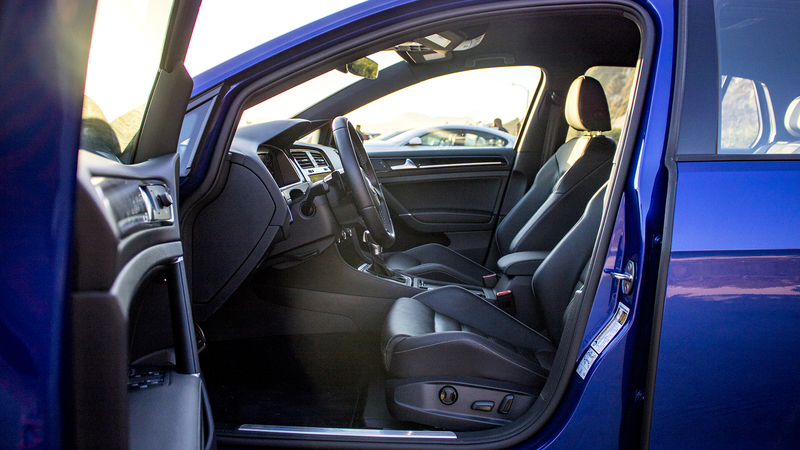 The rest of the well-thought-out cabin shows why the Germans have such a reputation for high-quality interiors—premium, Audi-like materials abound, and every touch point feels solid. We're missing the GTI's Tartan seats here, but the black leather buckets in the R were plenty comfortable and nicely bolstered. The title of Jane Austen's 1811 novel Sense and Sensibility refers to the supposedly-dueling personalities of the two sisters at the center of the story, one of whom is prudent and rational while the other is far more emotional. 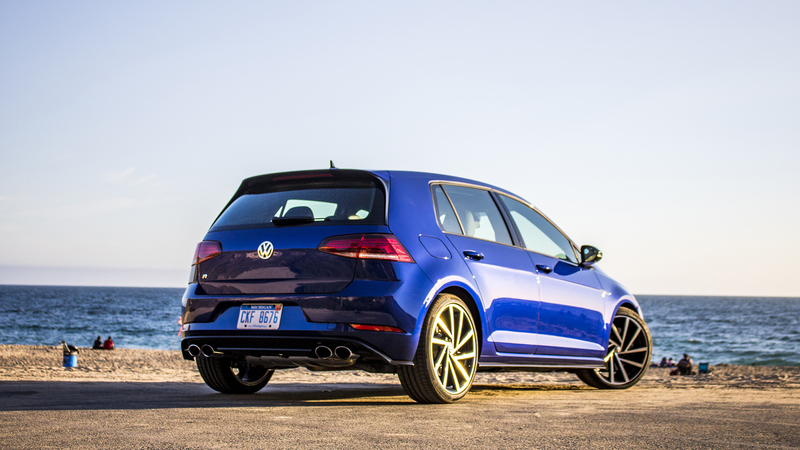 The Volkswagen Golf R is pretty much the only hot hatch around that can play both sisters' roles. Slip it into Race mode for a hard-charging time, or leave it in Eco and watch the R do its best impression of a fuel-sipping snoozer. There's a wildness in there, but it's mitigated in part by an extensive suite of standard driver safety tech like automatic forward emergency braking and lane keep assist. If you're looking for a spicy compact to daily, this is the most compromise-free package you'll find for around $40,000. Yes, that's $40,000 for a Volkswagen Golf. I'm not opposed to the idea of a Golf that costs just a few thousand less than an Audi A3, or one that costs over 10 grand more than a GTI, but it is fair to say that the result could feel a little more special for the price. The 72-hp bump over the lesser GTI isn't as noticeable as you'd think, considering both cars put a premium on handling over raw force, and there's always a question of value when a top-trim model from a lesser marque bumps up against the lower rungs of a more premium brand. Oh, bother. This is supposed to be Volkswagen's ultimate performance hatchback, so why the nanny-state move of preventing owners from fully deactivating the traction control? You can hold that off button until you're as blue in the face as the car's paint, but the system will magically spring back to life if it thinks you're about to die. You're probably not, though—and once it happens, you're definitely not having as much fun as you were 10 seconds ago. It's definitely not an issue during normal driving, but it does highlight the fact that the Golf R is a little softer around the edges than some of its rivals. With that in mind, it doesn't really lead the stat sheet in any significant ways when stacked up against the competition. It's slower than a Honda Civic Type R, not as grippy as the Ford Focus RS, and it's not built for track duty like the Subaru WRX STI Type RA. 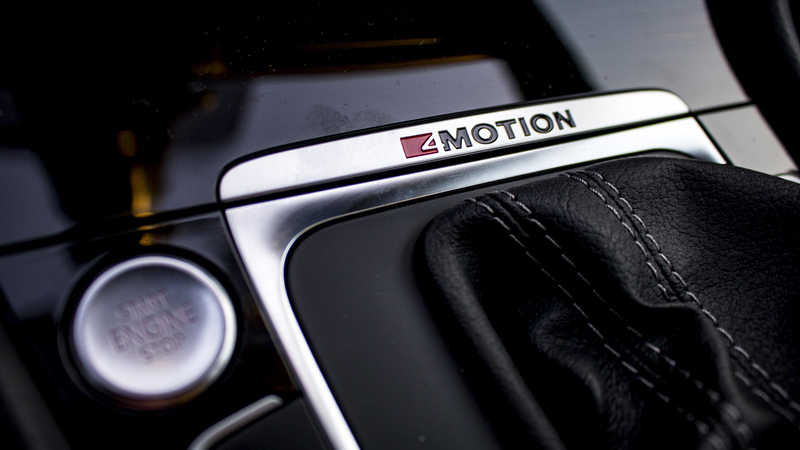 Volkswagen's 4Motion system is more designed for slick conditions than performance-minded grip, and its brake-based torque vectoring isn't supplemented by any sort of limited-slip or properly locking differentials. The Golf R is plenty capable when it comes to lighter fare like autocross, but any owner with dreams of track day glory might find it a little less than ideal for the task. I get that the under-the-radar look might be a bridge too far for some especially considering the price. If your hot hatch isn't complete without a crazy wing or some other form of visual ostentation, the Golf R will leave you wanting more for the money. Less really is more with the Volkswagen Golf R. Less visual drama, more places you can take it without feeling a little self-conscious. Less flash, more money in your pocket from flying under the radar and avoiding speeding tickets. Less junk you don't need in the interior, more peace of mind when you slide behind the wheel. Less specialization, more balance. 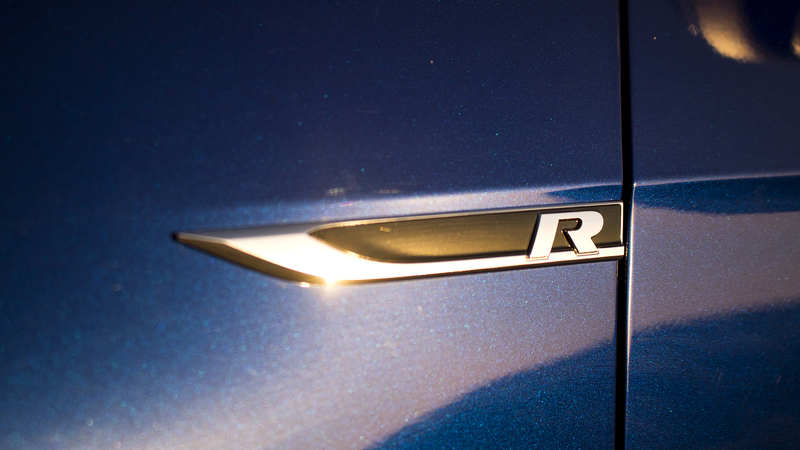 And that's what the Golf R is all about: balance. Hot hatch or not, few cars strike as pure a harmony between their split personalities as this one. That comes through in the very nature of this little hatchback—the way it looks almost exactly like a base model Golf while hiding over 100 more horsepower under the hood—but it also comes through the way the car slides seamlessly between propriety and hooliganism. In Eco mode it's a polite, fuel-sipping box; in Race mode, it will bite. Hard. 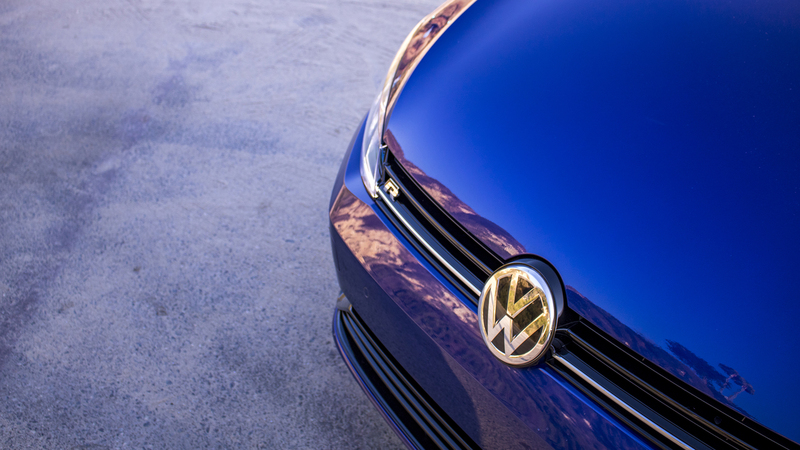 The Golf R also serves as an unwitting, if appropriate, metaphor for adulthood. You have to be respectable, take care of your responsibilities, and do a lot of boring things...but you also get to have so much more fun than you ever did as a stupid kid. You just need to find the right mix, and the R shows there's a way to hold onto your wild side longer than you ever thought possible. It's just not the cheapest way to stay forever young. Volkswagen's top hatchback with the RS3's potent five-cylinder engine in it is a marriage we can get behind.